Test your Hatchimals knowledge with this egg-cellent sticker activity book! 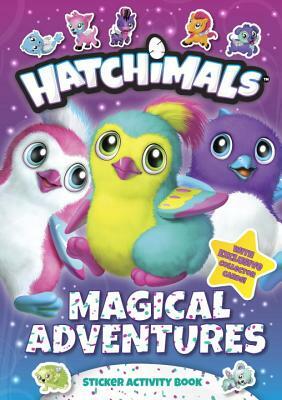 In this egg-citing interactive book, Hatchimals fans can explore Hatchtopia while getting to know their favorite characters. Featuring a fun sticker sheet complete with adorable characters, this is certainly a magical adventure! The collector cards included at the back of the book offer even more Hatchimals fun once the activities are done!